There’s nothing more frustrating than downloading or transferring a video onto your Android phone, only to be greeted with “can’t open file” or “unsupported audio codec” when you try to play it. So how do you fix the unsupported video file error? Read on and we will guide you through the solution. Before we get into the details, it’s worth explaining why and how this problem occurs. It’s all about the codecs and containers. Why won’t my video play? How can I play “unsupported media files” on my smartphone? Codec is actually the abbreviation of coder-decoder. The name actually says it all: it’s a method for encoding and decoding data, specifically compressed data. Codecs take it (in this case video data) and either compress it so it can be sent or stored, or decompress it so it can be viewed. Codecs are different from containers and file formats, however. AVI, for example, is often mistaken for one, when it’s simply the video file type. Usually, a container is also referred to as a file format. It takes care of packaging, transport and presentation (while the codec prepares the file for these actions). Containers take care of synchronizing the audio and video. A container is part of the file that determines the file type. In simple terms – if you have an androidpit.mp4 file, MP4 is the container. 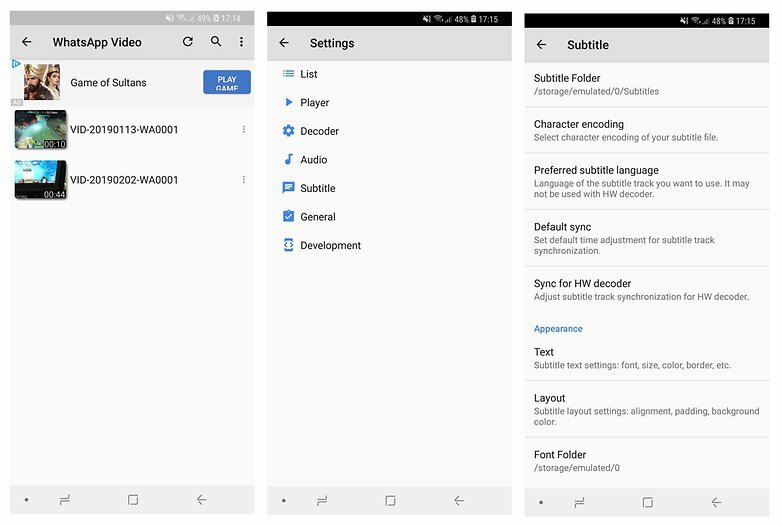 In most cases, the reason why you’re getting an error message when you try to play a video file on your Android device is because the codec of your media file is not supported by your media player. Another possible reason is that audio codec is unsupported. You might think that your media player arbitrarily decides to play and not play the same file type, but a container can contain multiple codecs that your phone might not support. I wish my standard media player was as versatile as VLC Player. If you’ve ever used VLC on your PC, you’d know that it’s one of the most convenient and reliable media players out there. The same applies to the VLC for Android app. It includes all codecs without the need for additional downloads. It provides support for DivX and XviD compressed videos, as well as a variety of formats – MKV, MP4, AVI, MOV, Ogg, FLAC, TS, M2TS, Wv and AAC. For those who love to watch foreign movies or anime, you’d be happy to know that VLC also supports multi-track audio and subtitles. Not only that – the app is light, free and does not have obnoxious ads. It’s one of the best, if not the best, Android media players. 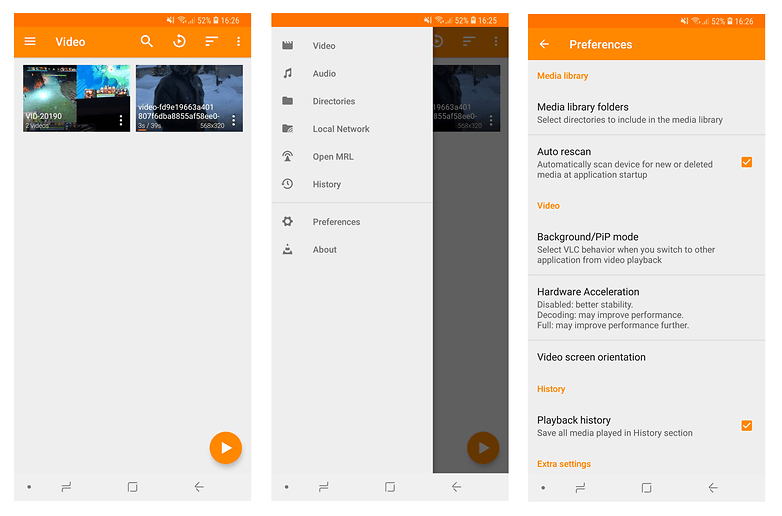 This is another light and easy to use Android media player. Just like VLC, MX Player supports multiple files (.avi, mpeg, mp4, wmv, divx, xvid and more) but also a variety of subtitle formats, including .txt, .sub, .srt, .idx and others. It also offers gesture controls, like swiping down to reduce brightness, scrolling backwards and forwards to move subtitle text and more. Unfortunately, the interface of the app is quite basic, but that might to be appealing to some. The free MX Player version also has ads, but if you can live with that, it’s a great player that supports most of the video file formats you can think of. If not, there’s also an ad-free version available for $5.99. What is your favorite video player? Let us know in the comments.